Knowing how to mix sub bass is very important for making beats. Sub bass is a very prominent element in most hip-hop and R&B tracks. 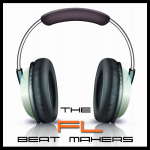 Unfortunately it’s usually an element that many producers struggle to get right in the mix. Most sub bass is created using a sine wave inside of a synth. Another common way to create sub bass is the use of an 808 sample. Most people struggle to get a good bass sound because they are either using a sub bass synth sound that isn’t a setting well in the mix. 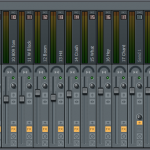 Or an 808 sound that isn’t sitting well in the mix. So for starters you should analyze the source of your sound. You could be using a sample or synth sound that is too overwhelming. 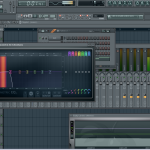 Here is a simple tutorial for creating a sub bass using FL Studio’s 3xOSC. One thing that really benefits sub bass is compression. If you listen while your sub bass is playing you will often notice that some notes are really loud while other notes are pretty quiet. Using compression you can even out the volume levels of the sub bass to make it much more consistent. A great way to keep your sub bass from masking other instruments is EQing it. 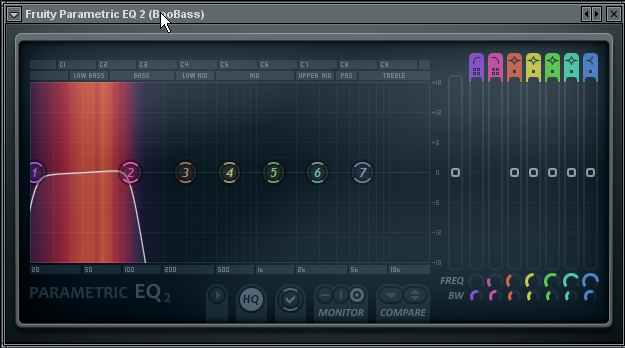 A good place to start is an EQ plugin with an analyzer such as the parametric EQ 2 in FL Studio. Using the analyzer you can see the dominant frequencies in your sub bass as it plays. Usually you do not want to allow your sub bass to go above 60 Hz but bass frequencies can go much higher than that. If you are strictly focused on creating that real deep sub bass sound you may decide to filter out everything above 60 Hz. You may also want to high pass some of the lower frequencies around 20 Hz. This can clean up some of the mud in the low end. However, this is where you will get some debate on preference. Some people like to leave those frequencies in because although you may not be able to hear them you can feel them. Use your personal preference on this and decide whether you want to hi pass them or not. However for that deep sub bass sound I definitely recommend that you low pass them. As you can see in the screenshot I used both a hi pass and low pass filter with a steep curve. Just these two minor fixes alone can have a massive impact on how good your sub bass sounds in the mix. A lot of the misunderstanding with sub bass is that you need to boost the bass frequencies. So people will commonly load a bass boosting plugin or boost the low end with an EQ. This is usually where things get ugly and the bass starts to mask other tracks. 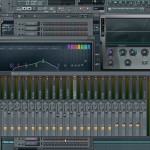 If you want to make great sounding beats you have to know how to mix sub bass. With sub bass less is more. You want to find a good sounds and then clean it up with compression and EQ. From their you usually have a solid sub bass that isn’t destroying the mix.